When you're waiting for the play to start, you need to check your ticket for your seat information and make sure that your glasses are clean. 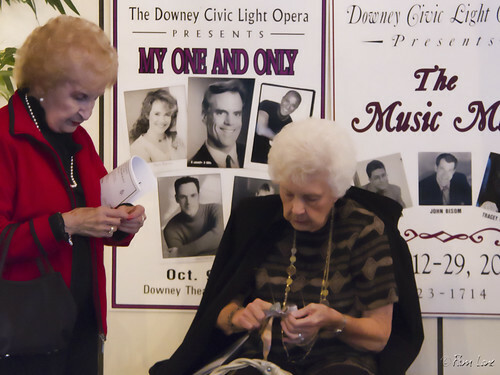 The Downey Civic Light Opera is currently presenting "Funny Girl" at the Downey Theater. I went by last night to see what might be going on, and Executive Director Marsha Moode kindly let me wander around to take some pictures. Next week I'll be back to actually see the show. Hopefully, I'll have a few more pictures to show you then. Everybody wants to be Greek!